ውዲታዊ ውዕል ዶር. ዓቢዪ ኣሕመድን ኢሰያስ ኣፈወርቅን እንታይ እዩ ትርጉሙ ? It was thus that (in 1969) the CIA had launched a secret operation known by the code name of “seed planting project” (nursery), at Kagnew military base (near Asmara). At that date the United States had completely lost faith in Haile Selassie government. This CIA project was therefore intended to prepare an alternative means to defend American interests in the Red Sea and the Horn of Africa. 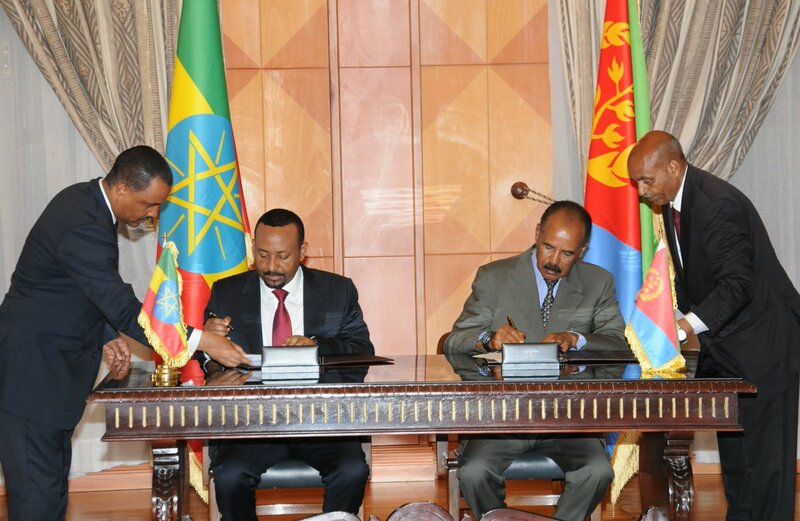 And this alternative was plotting against and sabotaging Ethiopian unity, in collaboration with Ato Isayas Afeworki. እዞም ኣብ ታሕቲ ተዘርዚሮም ዘለው ነጥብታት ብኢሰያስ ንኽትግበሩ ዝተገብረ ውዲት ስለምንታዩ? ኣበይ ንምብጻሕከ እዩ? በትሪ ሓቂ ትቐጥን እምበር ኣይትስበርን! ንቕሓትን ዓወትን ንሕዝቢ ኤርትራን መንእሰይ ኤርትራን ኩሉ ሃገራዊ ኤርትራዊን! ውድቀት ከኣ ንጠላማትን ዕሱባት ጽዮናውያን! ብሓልዮት መርበብ ሓበሬታ ደቀባት ኤርትራ፣ 09 ሓምለ 2018 ዓ.ም.ፈ.